Laksa is one of my favorite local dish and I had the best Laksa in Singapore and Penang but not in KL. 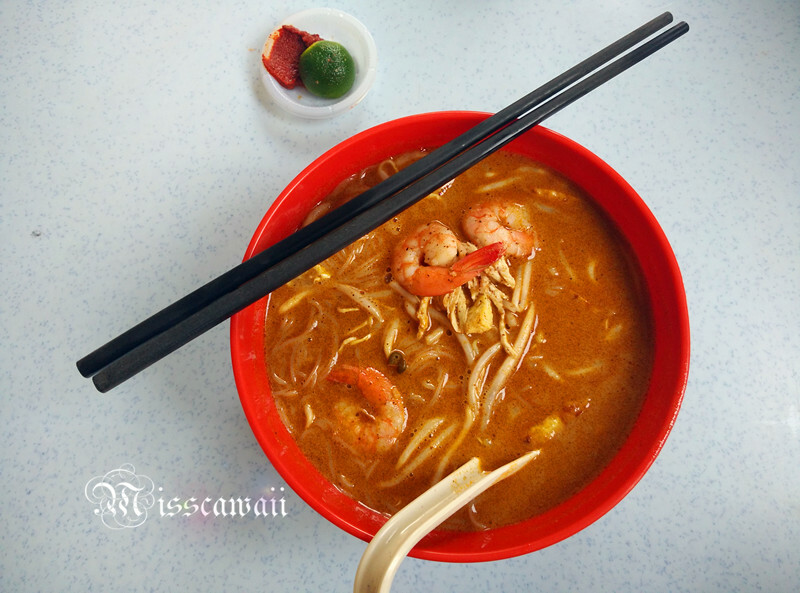 Finally I found out another good Laksa and it's located at Pangsapuri Kelana Sentral! Just beside Giant Kelana Jaya. We purposely come for them and have to wait up to 45 minutes to serve our meal! 7th Mile Restaurant, not really restaurant, more on single stall in kopitiam (means coffee shop). 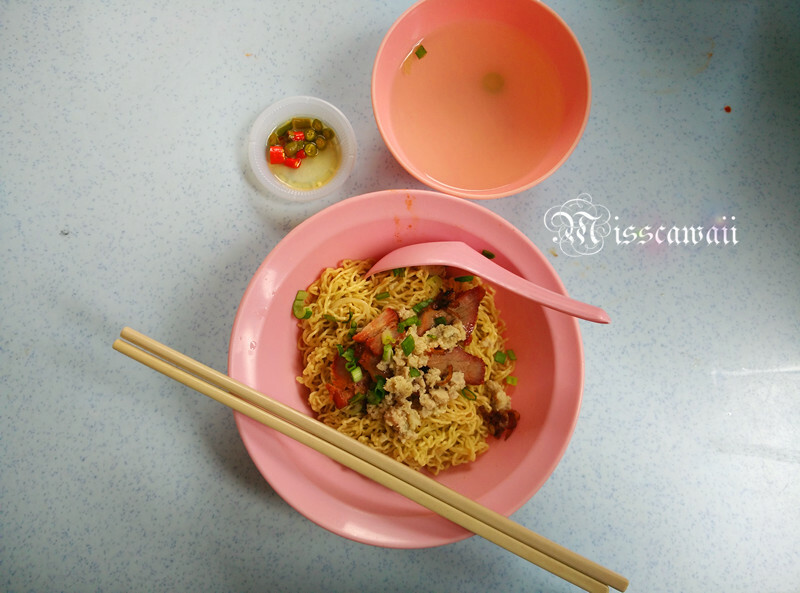 The owner is come from Sarawak (I guess is Kuching because they stated they are provide Kuching Street Foods) and they are offer authentic Sarawak dish with reasonable prices. To guarantee the taste, there is only 1 person which is the owner going to prepare all the order. That's the reason why we wait for 45 minutes! But it's worth!! 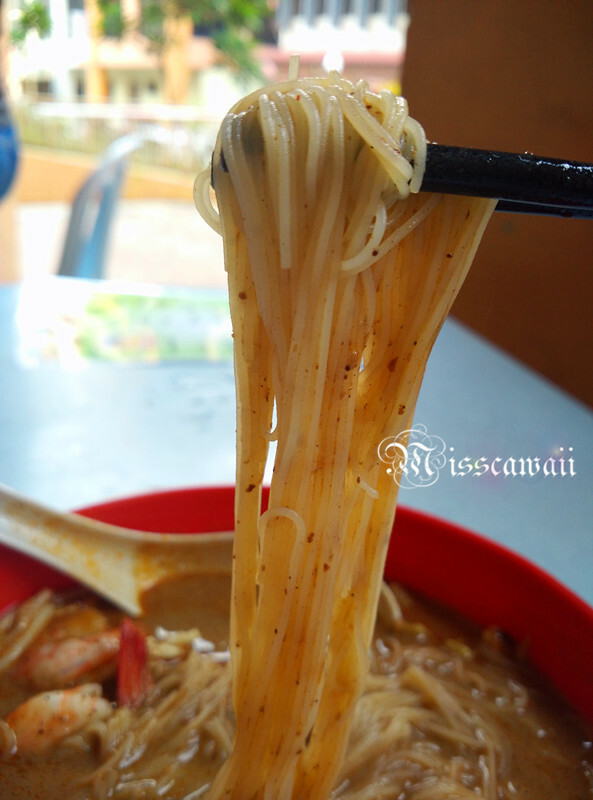 This is super delicious laksa I had! The Sarawak Laksa come with thick and flavorsome Laksa broth. Don't worry about spicy, it is not spicy at all like you see from the photo. I feel like I want another bowl again after this. 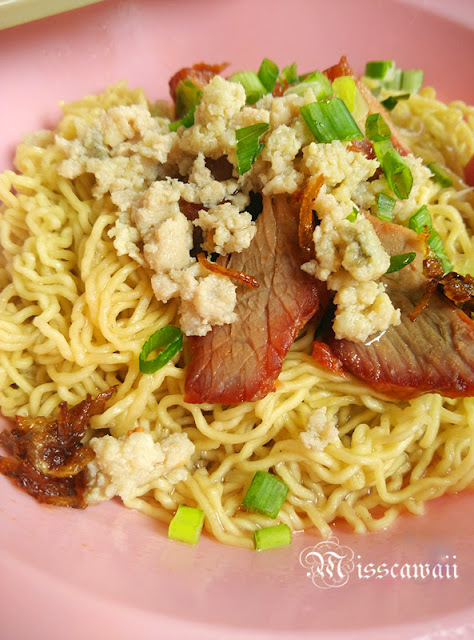 This could be the authentic Kolo Mee I have. I had try this out at few places but this is the best in my list. Noodle is springy come with minced meat and char sew sauce. By the way, don't forget squeeze the lime into a saucer of chili paste and the taste is pretty good! Because I always forget to do so, hahaha! Awesome that they are so near my friend's place that I usually crash when I go to KL! Just within walking distance only! The food is really tempting! Yummy! haih! 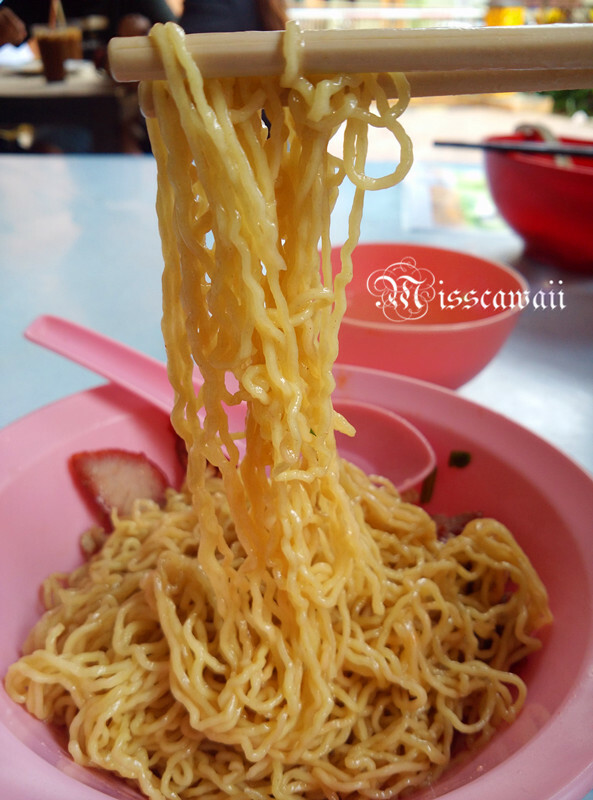 non halal ..if not can try on. I love sarawak laksa. Love the way u captured the food babe!